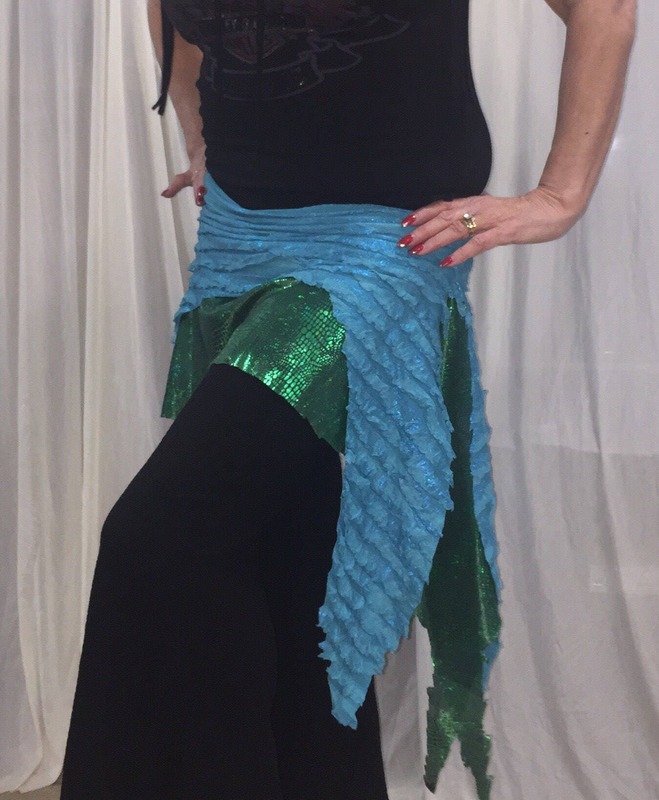 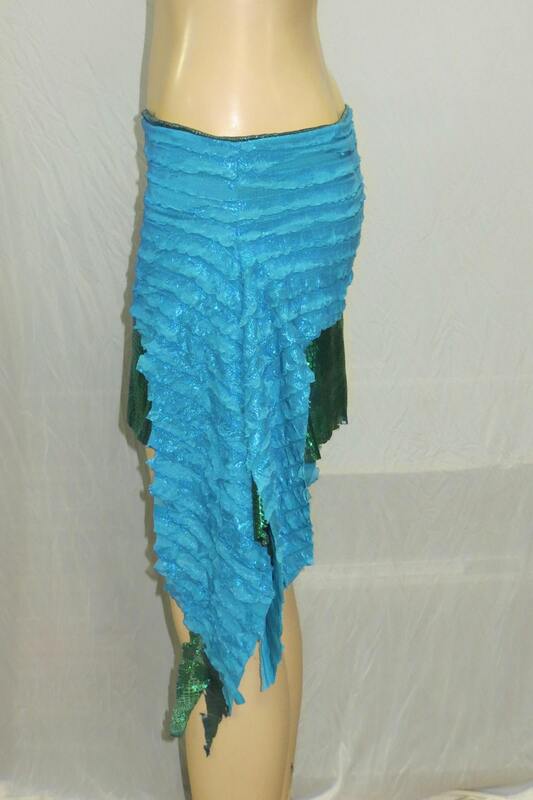 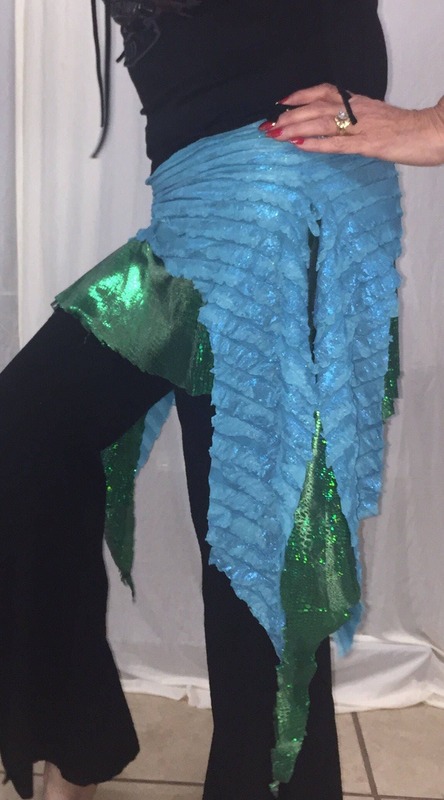 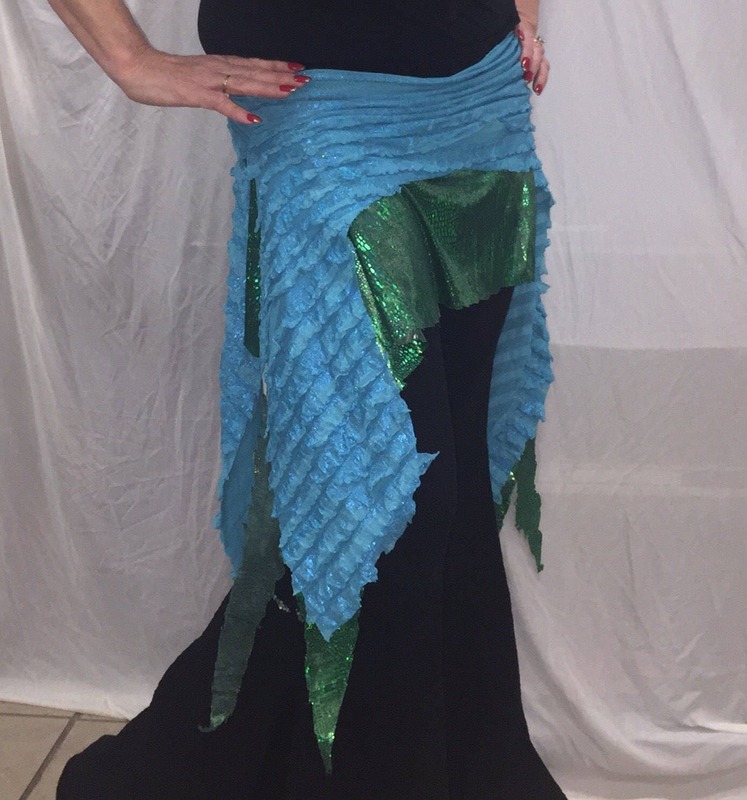 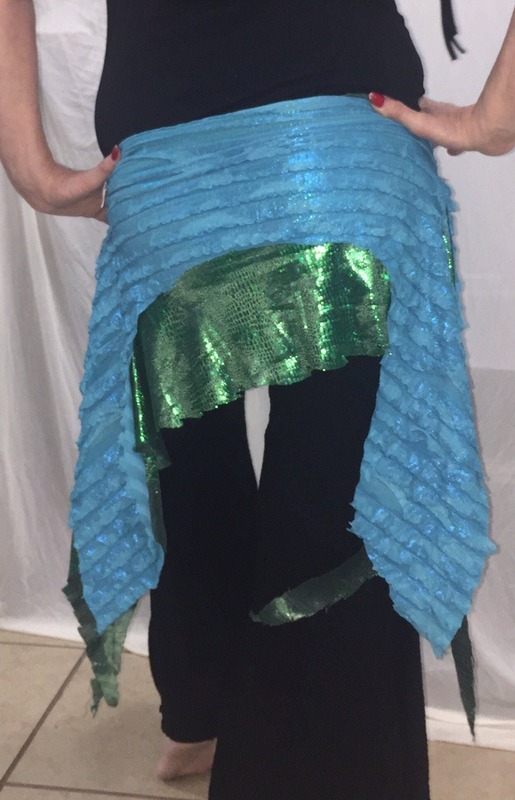 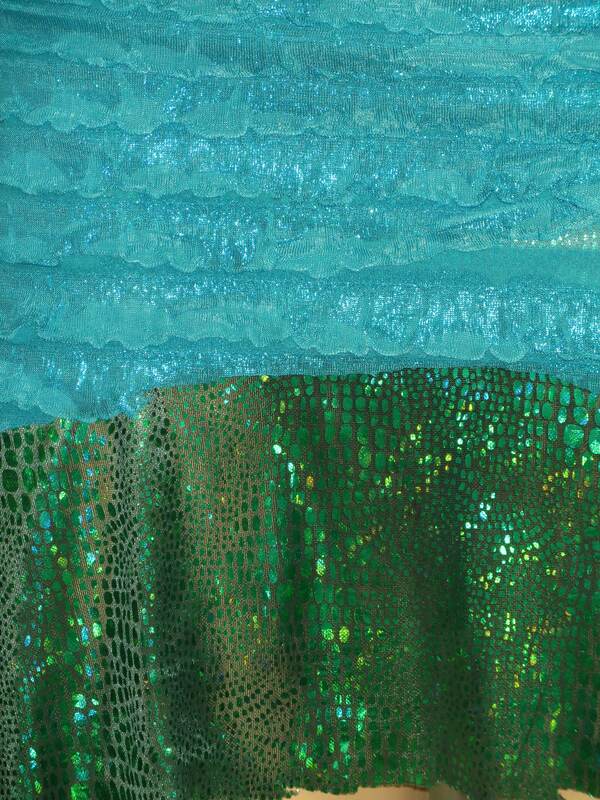 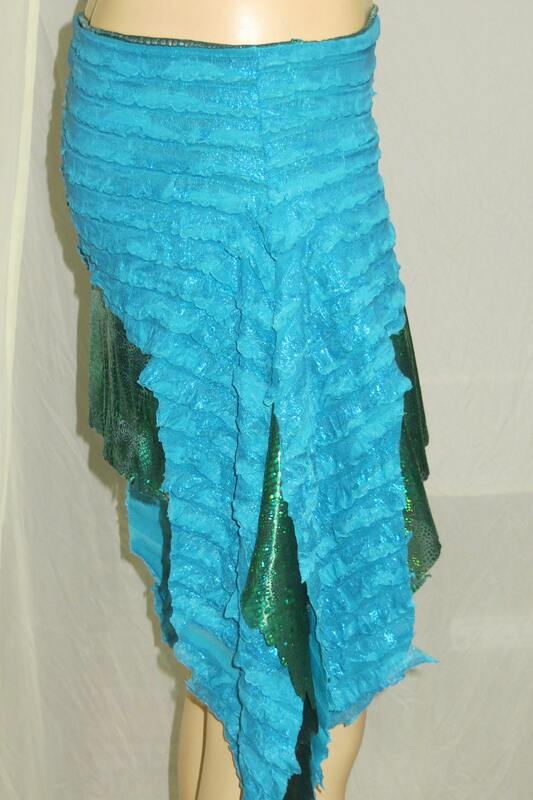 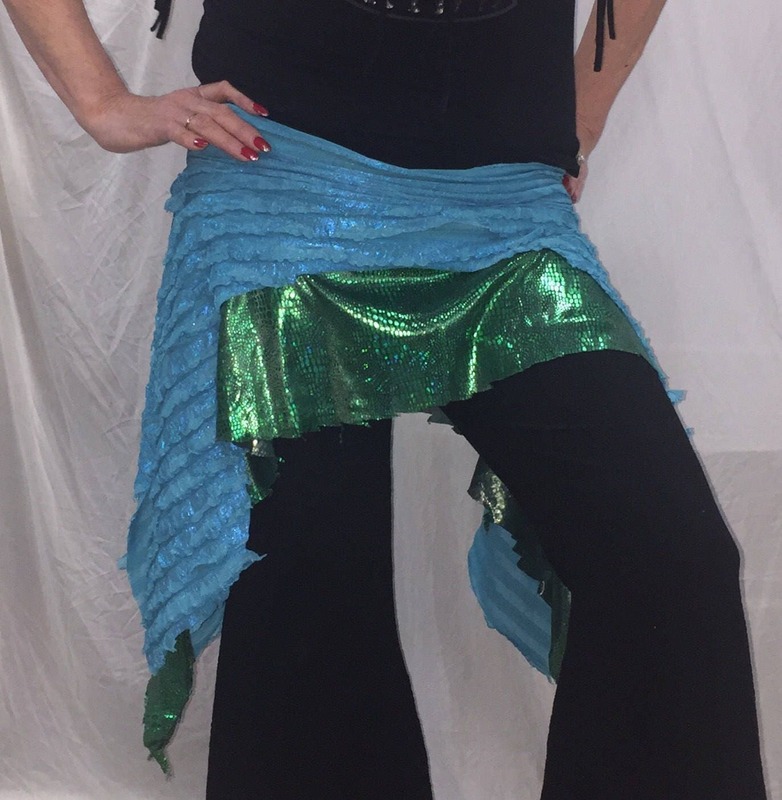 Tribal fusion bellydance glam overskirt in great mermaid colors of teal and green. 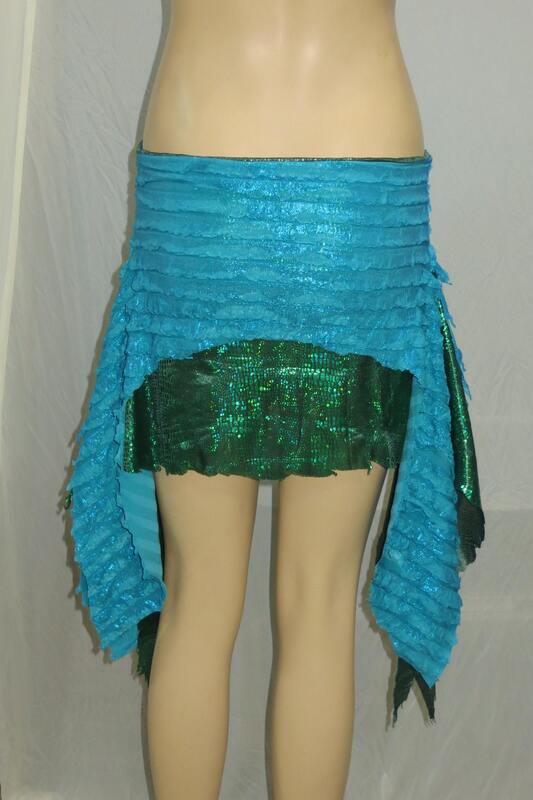 Size XS fits 28-34” belt line. 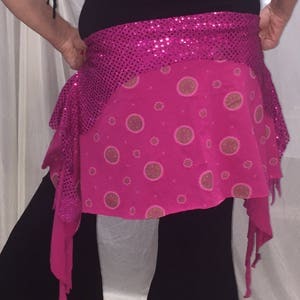 Great for dance practice and yoga workouts. 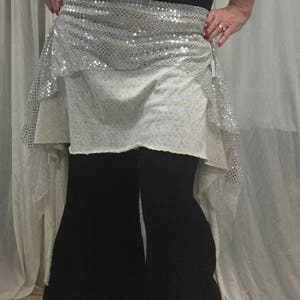 Wear over your pants or shorts. 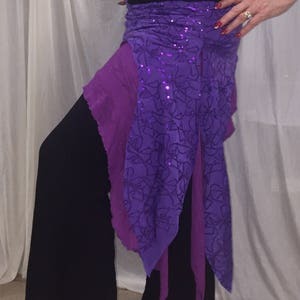 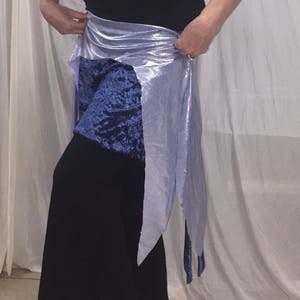 Costumes, dance practice, bellydance, beachwear. 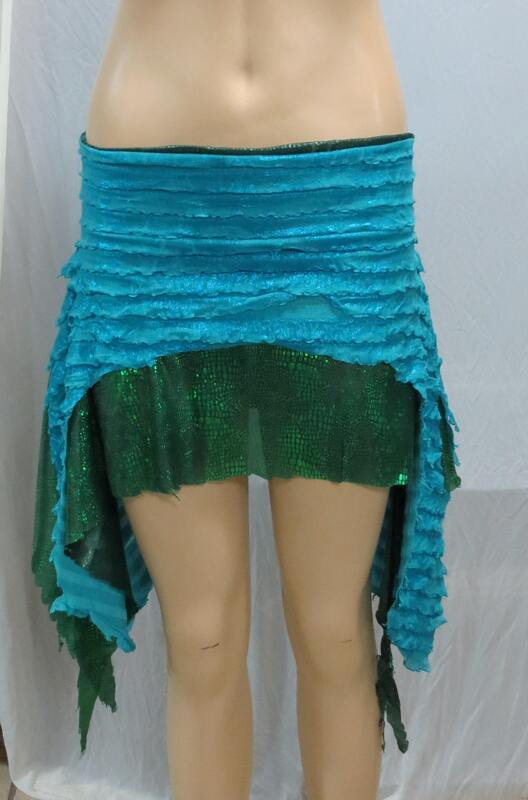 2 layers.